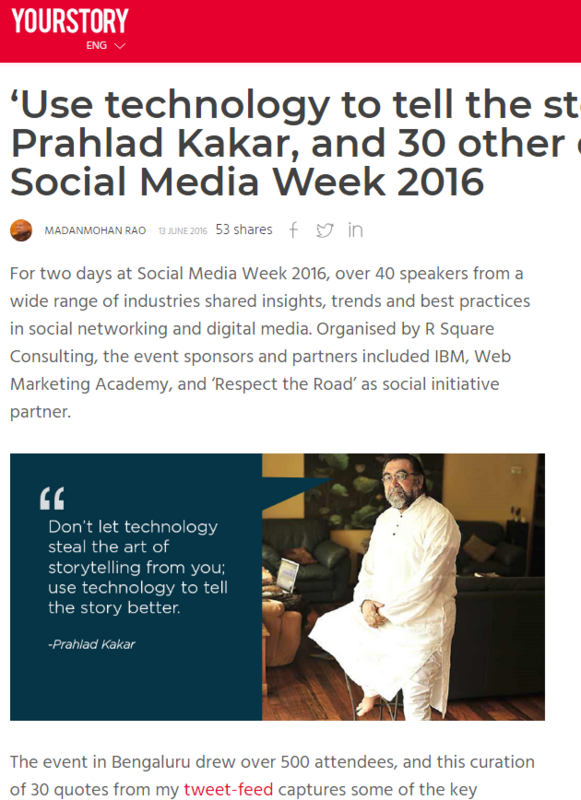 For two days at Social Media Week 2016, over 40 speakers from a wide range of industries shared insights, trends and best practices in social networking and digital media. Organised by R Square Consulting, the event sponsors and partners included IBM, Web Marketing Academy, and ‘Respect the Road’ as social initiative partner. 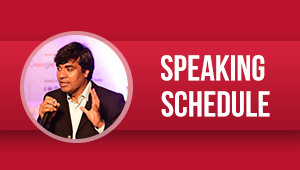 The event in Bengaluru drew over 500 attendees, and this curation of 30 quotes from my tweet-feed captures some of the key takeaways on storytelling, Big Data, analytics, sentiment analysis, visual marketing, content monetisation, social change, news coverage, business intelligence, influencer marketing, brand building, customer connects, and offline-online synergy. Social Media Week is hosted in 18 cities around the world, and the 2016 global theme is ‘The Invisible Hand: Hidden Forces of Technology and How We Can Harness it for Good.’ We look forward to the next edition of Social Media Week already, and to a wide spectrum of insights and excitement.